Nearly one in five students in Boston’s public high schools are two or more years behind academically, jeopardizing their chances of earning a diploma, according to a report released Wednesday. Only about a third of the 3,300 students who have fallen behind will end up earning diplomas within six years of entering high school, according to the report, which was prepared by consulting firm EY-Parthenon Education with funding from the Barr Foundation. 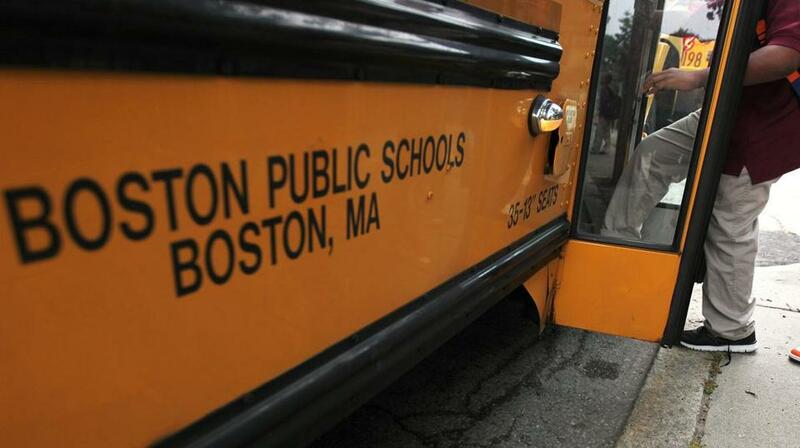 The report calls for sweeping changes to the Boston Public Schools, from primary grades through high school. The overhaul is needed because about two-thirds of the off-track students enter high school with serious deficiencies in their schooling. But equally concerning is that hundreds of students who enroll in high school with solid academic records eventually fall behind, an indication of potential shortcomings in many high school programs, the report found. Superintendent Tommy Chang, who commissioned the report, said the school system needs to do a better job of keeping students on track and intervening more aggressively when students fall behind. “I see this report as a call to action and a further refocusing of the work we are already doing,” he said. The report recommends expanding or replicating high-quality schools that students are clamoring to attend, overhauling alternative education, providing high school faculty with data about which entering freshmen are off-track academically, revamping the central office’s oversight of high schools, and changing high school admission policies so more students with a variety of needs have access to more schools. The last recommendation is a response to a longstanding practice of allowing many high schools to set admission standards, which can include passing an entrance exam or writing an essay. The school system also funnels students with disabilities or limited English fluency to certain schools. School officials said some of the recommendations dovetail with efforts already underway. The school system is restructuring its school management team and redesigning alternative education so each school focuses on a specific group of students. In another big move, school officials said they will stop the practice of assigning high schools to students who don’t apply to any and instead will develop ways that ensure all students are making a choice. School officials acknowledged that change could lead to school closures. That’s because the school system has been filling seats at under-chosen schools with students who failed to apply to any schools. The report, titled “Excellence and Equity for All,” was produced at the urging of the Barr Foundation, a Boston nonprofit that works on education issues. The Barr put up $1.25 million for the research. The report is a follow up to one Parthenon conducted in 2007, which found that 20 percent of Boston high school students were at risk of not graduating because they had fallen significantly behind — a challenge similar to what the school system faces today. The initial finding galvanized the school system into action a decade ago with newly arrived Superintendent Carol Johnson making the high school dropout problem a top issue. High school graduation rates subsequently rose from below 60 percent to 73 percent last year, a historic high. A signature initiative under the effort was creating a “re-engagement center,” which tracks down dropouts and persuades them to return. The center expanded its reach by connecting with students who were chronically skipping school. But momentum has stalled, due to a variety of factors, according to the new report. One factor is inadequate funding for schools that educate a high population of students with significant needs. That’s because the way the school system doles out per-student funding fails to reflect how much it actually costs to serve these students. The report also highlighted a disturbing practice of the school system that allows schools to restrict the timing of when students can enroll during the course of a school year, leaving students — including, for instance, former dropouts — in limbo. To keep these students engaged while they wait for a seat, the report recommended adding online courses at the re-engagement center so students can start catching up. The re-engagement center used to offer online courses, but stopped a few years ago due to budget cuts, said Neil Sullivan, executive director of the Boston Private Industry Council, a nonprofit that helps run the center. Sullivan welcomed a return of the online programming. Sullivan said he agreed with 98 percent of the report’s findings on alternative education, but didn’t think it gave enough credit to those schools for the success they are having. The report actually faulted the schools for high dropout rates. In some cases, students who try to take greater control over their education and switch to a school that they perceive as a better fit ultimately graduate at lower rates than similar students who stick with their schools, the report found. Burke, English, and East Boston high schools are having success with challenging student populations, boosting graduation rates by the double digits, according to the report. Jessica Tang, president of the Boston Teachers Union, said the report validated concerns over inadequate school funding provided by the city, state, and federal governments. “This should serve as yet another clarion call for the governor and for state lawmakers to take action by fixing and modernizing the state’s school funding formula in ways that address the critical needs of Boston students – students who are disproportionately receiving less funding due to an outdated state formula,” Tang said in a statement. Chang said the school system is reexamining how it divvies up funding for schools. Michael Loconto, chairman of the Boston School Committee, said the board will ask Chang to put together a plan by this fall to help off-track students.